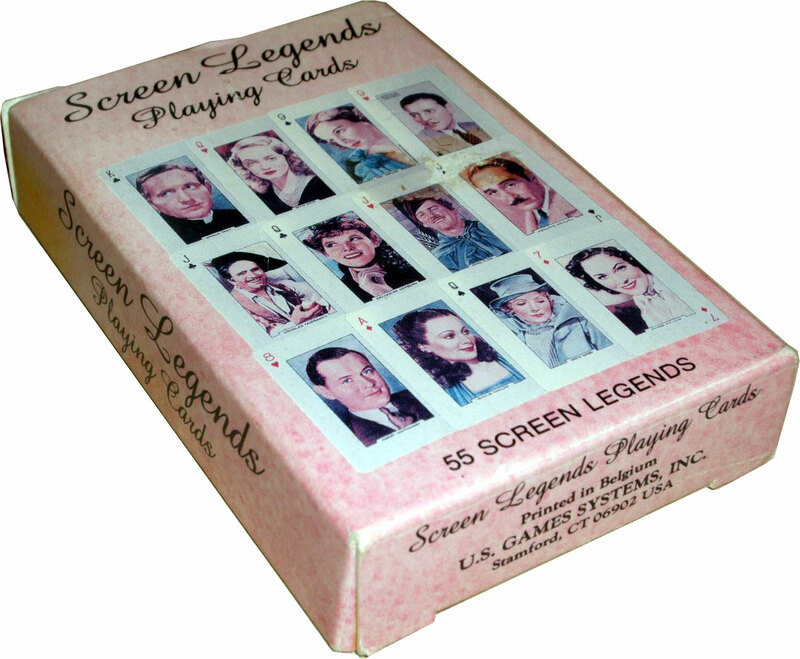 Above: ‘Screen Legends’ playing cards published by U.S. Games Systems, Inc., ©1991. 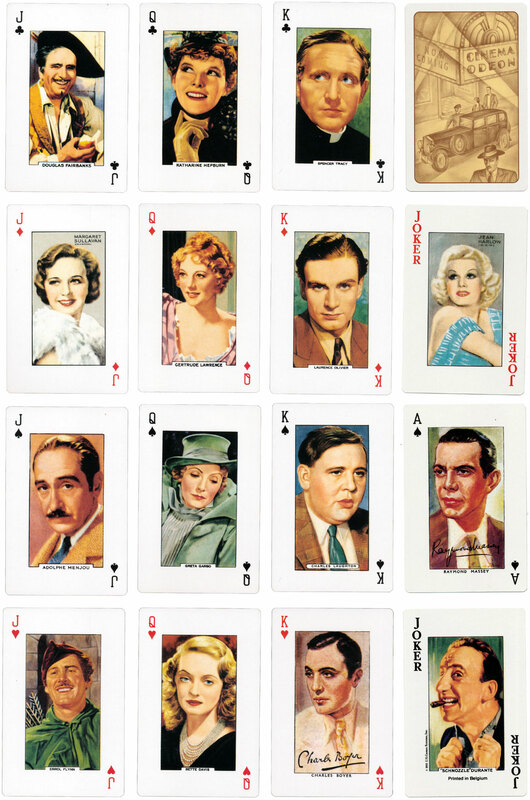 Printed in Belgiun, 55 cards in box. Images courtesy Matt Probert.